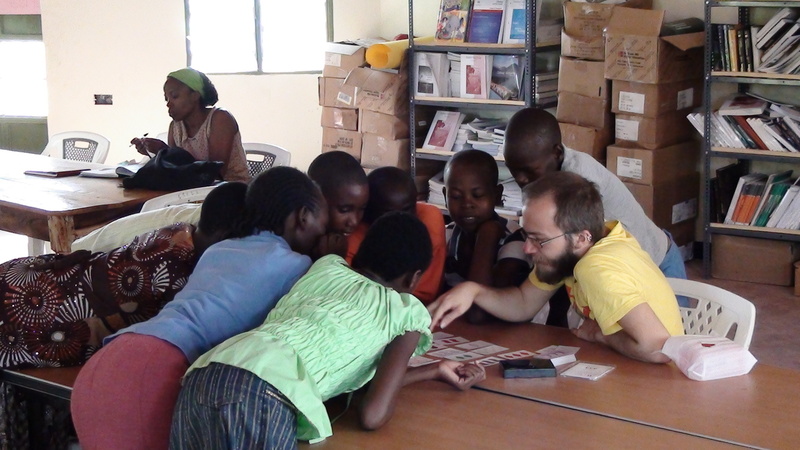 Amagoro Library Visit | Inventing Situations. I’m especially looking forward to working with graduated secondary students; these students typically have about eight months of idle time while they wait for their high school diplomas and to hear back from universities. Normally, this is just lost time; Elewana will be identifying some promising students, and I’ll give them plenty of things to work on. If it’s a project that works out, it’s easy to imagine dropping Pi’s with promising students on a larger scale, giving an introductory workshop and then leaving them to self-study. It would be stupidly simple to drop Pi’s into libraries, if libraries were around! But at present, the Amagoro libary is the only public library I know of in Western Kenya. (A quick google search indicates that there should also be at least one public library in Nairobi.) One quickly realizes the importance of public libraries! There’s precious few books available to children to access through their schools, and typically resources within schools are tightly controlled. A space for free reading and exploration would be greatly beneficial to students anywhere.